Our kids give us lots of joy. Our 31 month old, who calls Mozzarella cheese Monsterella cheese, is at that stage where we have no idea what to expect next. So, for breakfast we all had eggs with our forks. I grew up in Podunk. My great-grandmother was full blood Cherokee. I have forgotten my wife’s birthday…twice. I have been shot at … twice. The two items immediately above this one are not related. I had a pet alligator when I was a child. It escaped. One of my relatives was killed by an alligator. I hope that the two items immediately above this one are not related. My first car was a 1973 Capri. Some of my favorite books are children’s books. I almost died in a military aircraft accident. At one time I grew giant pumpkins as a hobby. My favorite scent is the smell of freshly poured cement and my second favorite is freshly cut lumber. I bought my first house when I was 16 years old. I sold it one week later for an 80% profit. I was mugged on the streets of London. I was almost responsible for a man being shot by President Carter’s Secret Service agents. Oops. Due to my propensity to be interested by a wide range of disciplines, I managed to take 220 college hours before ever receiving my undergraduate degree. I was a kindergarten drop-out. My first real kiss was at church camp. I got a spanking at my seven year old birthday party for pretending to hang myself. I presently drive a convertible. My favorite color recently changed from blue to scarlet. I once owned a car worth $1.84 billion. I married an exotic dancer. I have swam in a spring-fed river while there was snow on the ground. My first pet was a billy-goat named Timmy. I once slept for twenty-four straight hours without being under the influence of anything other than an exhausting schedule. My favorite food is a vine-ripened tomato. My favorite drink is raw milk straight from the cow. My favorite herb is cilantro, my favorite spice is crushed red pepper, and my favorite side is fresh bean sprouts. Yum. My favorite musician is Luke Garrett and my second favorite is Robert Cray. I once climbed Mount Baldy near Glorietta, NM in the pitch black of night. I start most days with a three-mile walk and end most days in bed with a book of short stories. I won a beauty contest. My favorite restaurant was Fred and Red’s in Joplin, MO until it closed. I am now shopping for a replacement for the top of my favorite list. The first magazine I ever subscribed to was the Weekly Reader. The first “big” book I ever read was Mark Twain’s The Adventures of Tom Sawyer . In many ways it it was influential in my developing love of reading. I have lived in four states that begin with the letter “M”. In alphabetical order I have lived in Arizona, Arkansas, Georgia, Iceland, Oklahoma, Maryland, Michigan, Mississippi, Missouri, and Texas. When I married Susan I stopped watching sports on television. Her family had been big sports fans and she had always felt left out because she had no interest in television sports. I did not want her to feel left out in her own home so for the first twelve years of our marriage I never watched one game on television. I now watch televised sports in moderation. While abstaining from televised sports, I participated in Wes Kenney’s NFL Picks contest and had a better pick record than any of the ESPN experts. I quit my first adult job because they would not give me a nickel per hour raise. I could not have cared less about the nickel, it was the principle of the thing. 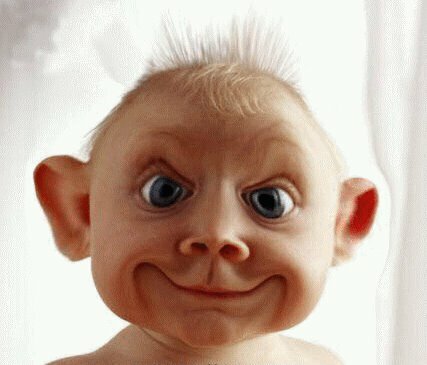 I have once or twice pretended not to notice my child’s dirty diaper so my wife would change it. I know, I know, I am hanging my head in shame. We send some of our six children to public schools, some to charter schools and homeschool others. My garage is a horrible, horrible mess. I would rather preach at a funeral than administer a wedding. I have clothes in my closet that are at least twenty years old. And, I still wear them. For two years I was the Master of Ceremonies for my high school’s talent contest. That was the last time I was master of anything. My ancestors started the first Baptist church in Texas back when it was part of Mexico and illegal to do so. I’m not sure exactly what my idea of a perfect day would be, but I would think it a really good day to rise early to drink really, really hot coffee while sitting next to Grand Lake of the Cherokees chatting with my wife while watching the sun rise above the horizon. Followed by several hours of quiet/private reading time and devotions. Then, wading and swimming with the kids and then all piling into my convertible for a trip to town for ice cream. Then a relaxing nap with an old fashioned water cooler blowing directly on me and a soft old ratty quilt to keep away the chill. Then, rising to grill some really nice steaks while the kids run and play on a giant lawn. An early evening watching a silly movie with the kids, then sitting on the porch and talking late into the night with my wife. I love to laugh out loud, and do so frequently, but very rarely around anyone except my wife and children. I do not like to talk on the phone because I want to see the person with whom I am conversing. I once applied for a job with the CIA. I could tell you about it, but then I’d have to kill you. When I baptized my son, Parker, in Lake DeGray, I did not get the very top of his head under the water, so I dunked him a second time. I traded name identification cards with another student at my junior college graduation so that they announced our names wrong to those assembled. I have experienced betrayal by someone I considered to be a close friend. It hurts. I enjoy immensely a steaming hot cup of coffee on a cold morning. I have noodled catfish with my bare hands. I was valedictorian of my high school class. I own more books than the Library of Congress (well, … maybe not). Almost 40 years later, I can still taste the last unripened persimmon I bit into. My three siblings and I all graduated from different high schools. My third child was almost born in the car on the way to the hospital. I enjoy the company of those with whom I have little in common. I have fallen asleep while driving, bathing, talking, and eating but never while doing all four at the same time. After working to get into West Point, I declined the offer of a Congressional Appointment because I was in a relationship with a girl. For years I would make up and tell my kids a new pirate story almost every night at the dinner table. Argh! Matey. I once fought a battle with the biggest-baddest Water Moccasin that ever lived. I finally admitted defeat and retreated after a 10 minute struggle. 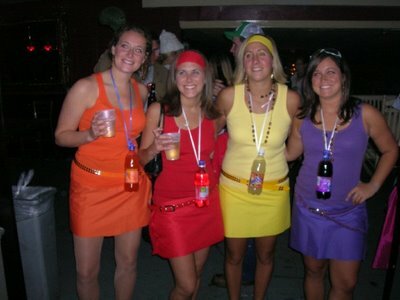 In college, I once went out with five different girls, on five consecutive nights and took them to the same restaurant where I was waited on by the same really cute waitress every time. I invited the waitress out on a date but she declined for some reason. I once had William Estep yell at me when I suggested that the Anabaptists were crisis theologians. On most days, if I had a choice between taking a nap and meeting the President of the United States, I would opt for the nap. I have on more than one occasion believed that I perceived an unseen presence while sitting with someone as they died. I sometimes regret that I never became a famous movie star. Steven Spielberg, are you listening? While playing golf in Joplin, MO I once hit the city manager’s car with a bad slice off the tee box. I hate to fly. I also hate to ride in planes. During one period of my life I lived almost exclusively on popcorn, pickels and buttermilk. I own a Xena, Warrior Princess doll. One of the most prized possessions I ever owned was an 1848 first edition of Edwin Wilhelm Hengstenberg’s Dissertations on the Genuineness of Daniel. I gave it away to a beloved friend back in 1993 and today I get much more pleasure from seeing it on the shelf in his living room than I ever received from owning it myself. I once rode the subway from East Point, GA all the way to Buckhead just to get an apple-cinnamon yogurt. I have had lots of “rides” but my favorite was a Suzuki GS 550L. I have seen a bear in the wild. I don’t believe in ESP, or anything like it, but I do believe the world and people are much more interconnected than we understand. I learned more about covert operations while working with a church youth group than I did in four years in the Air Force. I’m claustrophobic, so please move back just a little from your computer monitor. I watch the movie Groundhog Day over, and over, and over, and over, and …….. I have never been to a bachelors party, but I did host a book shower for one of my students who was getting married. When I write for publication I always try to include a few sentences that are quotable. I once knew a Special Forces guy that I thought made James Bond look like a wimp. My favorite toys as a child were little plastic cowboys and Indians. I sometimes judge a book by its cover. In the fifth grade I told my social studies teacher to beware because I was a werechicken. 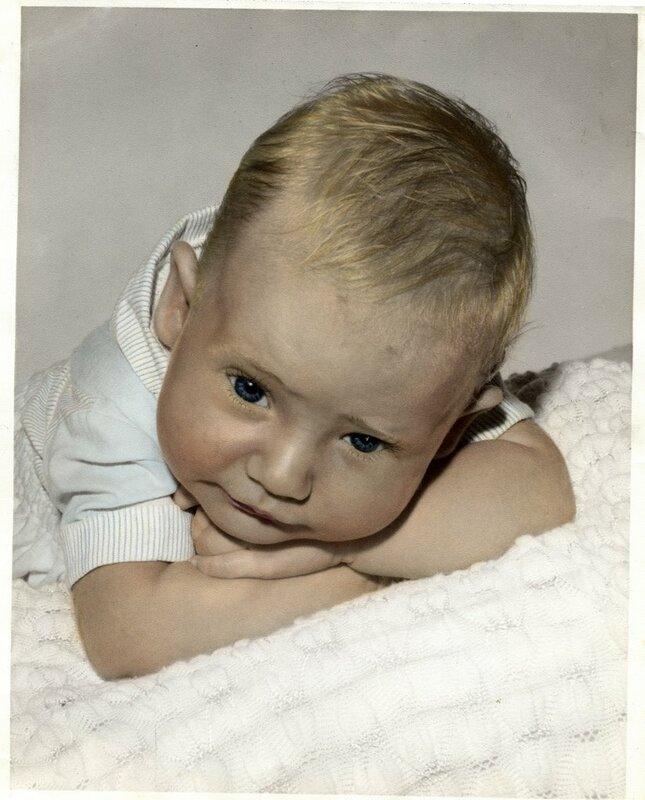 Afterwards, I was stuck with the nickname “Chicken” until my family moved to another town. I always cry when I watch Toy Story 3 with my kids. Call me barbaric but I much prefer the cheap generic Kroger Party Pack chocolate chip vanilla ice cream to any of the premium brands. I am married to the most beautiful, exciting, intelligent, witty, understanding woman I have ever known (yes, she reads my blog). To Be Continued: Are The Miraculous Gifts For Today? 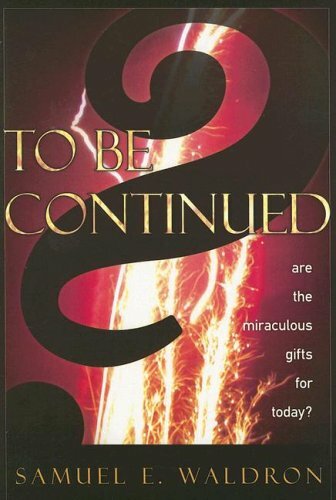 Over at Pyromaniacs, Dan Phillips has posted a book review of To Be Continued: Are The Miraculous Gifts For Today? What did he think of it? He gave it 4.5 matchsticks. When people think of a Baptist campground in Oklahoma, they usually think of Falls Creek Baptist Assembly near Davis. Falls Creek is great! 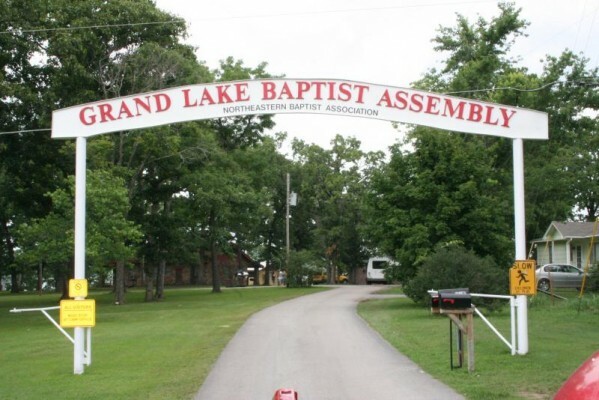 However, I have always preferred the Grand Lake Baptist Assembly campgrounds in Northeastern Oklahoma. There are many reasons why I prefer this smaller campground; one being the fact that it is smaller. Sense of community is important to me, and the churches of the Northeast Baptist Association which own the Grand Lake Baptist Assembly have always managed to maintain an intimate relationship with each other in a way that I think most associations fail to achieve and nurture. This is the association in which my father spent most of the 50+ years that he pastored. I have always wanted to pastor a church in this association, but now that I’m an old guy with a b’jillion kids it is unlikely that will occur. Well, I’m rambling. This post is part of a series on PLACES I WANT TO RETURN WITH MY KIDS. So, why do I want to share Grand Lake Baptist Assembly with my children? What makes it special to me? Reason 1 – Grand Lake Baptist Assembly is where I got my first real kiss. I was fourteen and like most fourteen year old boys I wasn’t afraid of anything — except pretty girls. I wasn’t just afraid of pretty girls, they petrified me. I could not speak around them, I could not eat around them, I could not think around them, I could not even breathe around them. At this particular youth camp one of our sister churches from Fairland had only one camper that was going to be attending. So, rather than them opening their cabin and someone taking a week off from work to be the counselor for a single camper this church asked if their camper could go with our group. Sure. Well, when “J” showed up at the cabin to join our group she was wearing a cute little white dress that I can still recall after 30 years. And, she was not just cute, but downright beautiful with hair cropped short and a neck that belonged on a marble statue. When I saw her I knew that I wouldn’t be speaking, eating, thinking or breathing for a week. Word got out that one of the guys in our cabin had caught “J’s” attention. It was me! Now what was I going to do? Well, to cut the story short, she and I spent some time together and on Tuesday night before cabin devotions this older woman (she was one year older than me) walked me out into the woods and gave me my first real kiss. WOW! The whole world looked differently after that. We spent two great days hanging out together and then . . .
She dumped me for a guy with a car. It was brutal. But, I forgave her treachery long ago. All I want to remember are pleasant thoughts about that week. Reason 2 – Grand Lake Baptist Assembly is where I met my first real girlfriend. The summer of my fifteenth year I again attended youth camp at Grand Lake Baptist Assembly and several of the guys and I ended up spending time with some girls from Miami Immanuel. It seems that a certain “JM” spent all week walking on her tiptoes and it definitely caught the attention of some of my friends. Well, several months later I was invited to a hayride for “JM’s” birthday. I wasn’t sure why I was invited. After all, I was the guy who avoided pretty girls and was for the most part invisible in any boy-girl group. It turns out that one of “JM’s” friends, a certain “G” had an interest in me. My memory is a bit shaky, but as best I remember it “G” became my first real girlfriend nearly a year later. We dated throughout my senior year in high school. There are several great stories that could go here, but let me just say that “G” was a truly dedicated Christian and her influence on me probably has as much to do with me being in Christian service today as does the fact that I grew up as a PK. I am thankful that I met her at church camp. Reason 3 – I learned to love reading the Bible while at Grand Lake Baptist Assembly. When I was about 16 or 17, there was really not a man in our church that could go to serve as a counselor at junior camp. Ordinarily my Dad would have done so but my grandmother was in the hospital in Columbia, Missouri. So, even though I was young they let me go as the counselor. However, there was a woman counselor in the cabin behind ours that took a liking to me. 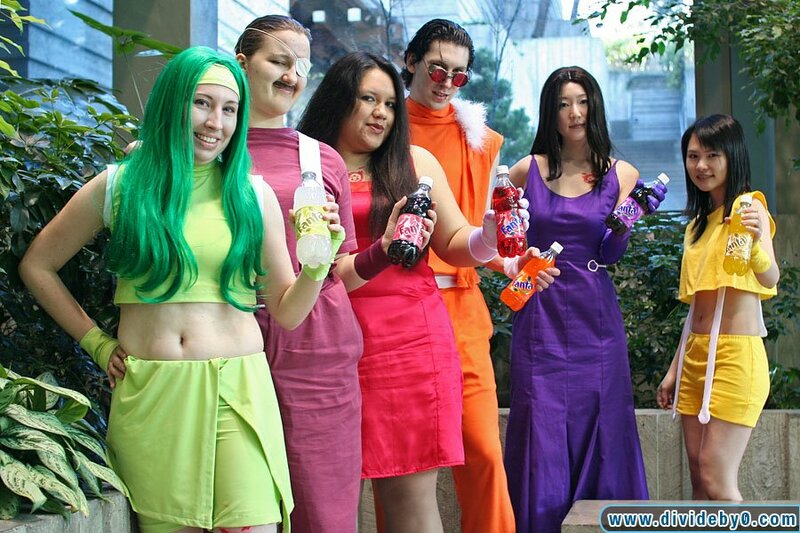 Okay, I know the girl stuff is old by now, but I have a non-girly reason for sharing this. I really wasn’t interested in this woman so I spent most of the week hiding in the cabin. Through most of high school I read at least four or five books each week, however, I had not expected to have much reading time so I had only brought one book with me (a Jack London title). 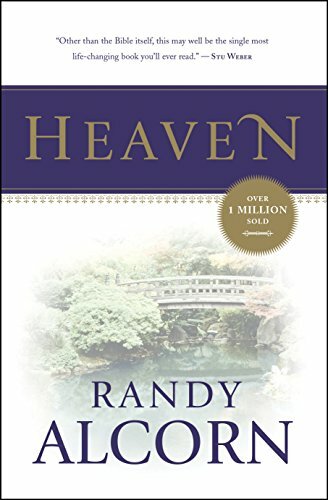 When I completed the book I went looking for something else to read and the only thing available was my Bible. Oh, no! I spent the next several days reading my Bible and that is when I discovered just how enjoyable the Bible is to read. Sure, it is God’s revelation of Himself to man. Sure, it is profitable for doctrine, reproof, and instruction in righteousness. But, that week I discovered that it is also great literature. From that day, I have really enjoyed reading my Bible. Reason 4 – I invested blood, sweat, and tears on the campus of Grand Lake Baptist Assembly working alongside my Dad. Dad has lived those words every day of his life. If you could break it, he could fix it. For that reason he was always elected to serve on the Northeast Baptist Association’s executive committee with responsibilities for the association’s buildings and grounds. Once a year we would have an association wide work day at the Grand Lake Baptist Assembly to get it ready for the summer camping season. Representatives would come from most of the churches to participate. Several more times a year Dad would round up a group to work on problem areas. But, most of the time, it was just Dad who did whatever it took to get things ready to go. And me when I could not find a way to escape. I spent many hours with Dad working on support pillars for the old tabernacle that used to be on the grounds, working on the swimming pool, spraying insecticide, and anything else that happened to need our attention. I still remember one brown bag lunch we shared while working on the old tabernacle – a sandwich, a few crackers, and a plum. Why do I remember the contents of that brown bag lunch from thirty years ago but I can’t remember what I had to eat yesterday? The answer is obvious,– working beside my Dad at the campgrounds was a meaningful experience for me. Reason 5 – I had shared experiences with many great friends there. We had fun! Lots of fun! Just one example and then I must press on with what is rapidly becoming as lengthy as a Russian novel. The old outdoor tabernacle had metal posts to hold it up. One of those metal posts managed to come into contact with a wire from the speaker located above it such that anyone who touched it had a shocking experience. My friends and I would hold hands making a long chain of misfits. Then, when someone coming from the swimming pool would pass by, the person at the end of the line would reach out and touch them just as the person standing next to the pole would grab on to it. The electric current would then pass through everyone in the chain and only the unsuspecting person grabbed at the end would be shocked. Great fun! Reason 6 – I think of Grand Lake Baptist Assembly every time I put on my socks. I could have left this one off the list, but I might as well throw everything into the soup. I was wearing flip-flops on the assembly grounds and accidentally tripped on the tennis court ripping the nail off of my left toe pinky. Nasty business. I had to drive in to the little hospital in Grove, Oklahoma to get it fixed. Reason 7 – It is where I first really considered the possibility of full-time Christian ministry. Like most PKs I had a chip on my shoulder with regard to the church. Even though I started preaching in various places at the age of sixteen I did not want anything to do with full-time Christian ministry. Then, David James brought a group from the Baptist Student Union at Northeastern Oklahoma A & M College and had a little get together for those of us who were high school Seniors at youth camp. We ended up playing a little game that I think was called Nexus. It involved discussion of the spiritual gifts and some personal sharing and discussion. It was that night that I think the walls I had thrown up between me and ministry began to come down. Reason 8 – Oh, just the huge treasure house of memories that I have of the place. I’ll share one more memory then close with reason #9. I must have been about 14 or 15. It may have been the same week that I met “J”. Many of us were standing outside the cabin talking when we heard screams from the girl’s side of the cabin. It seemed that one of the girls had feinted in the bathroom? No, it was much worse than that… she wasn’t breathing. It seems that the pilot light for the water heater had gone out and her lungs had simply shut down in response to the gas . . .
She was lying naked on the bathroom floor and was not breathing. My Dad who was serving as the male counselor grabbed a large beach towel, wrapped her up in it and carried her out to the car. He threw me the keys to the Toyota and we headed for the hospital in Grove. City people won’t understand a man trusting his underage unlicensed son to drive 100 mph to the hospital. However, country people probably will. Anyway, while I drove faster than I thought a Toyota Corolla would travel, Dad gave here mouth-to-mouth resuscitation. About half way to the hospital she started to breath again and became conscious. Scary, but all turned out well. Reason 9 – I saw God reach down and draw many people to Himself while they were on the grounds of Grand Lake Baptist Assembly. I still tear up when I think of the many people I saw respond to God over the years at Grand Lake Baptist Assembly. It has been many years now since I have set foot on the assembly grounds. I understand that much has changed. The tabernacle that Dad and I worked on is now gone and has been replaced with a temple (metaphorically speaking). Some of the churches have turned their little cabins into luxurious accommodations. What was once a summer-only encampment is now used year round. But, I trust that one thing hasn’t changed. I trust that God still chooses to use the Grand Lake Baptist Assembly grounds to draw children, teens and adults unto Himself. Someday I hope to return there and walk the grounds with my children and tell them about the things I saw God do there and maybe even share a few of the things that I did there of which God probably did not approve. The churches I grew up in took Hebrews 10:25 seriously. I think they thought that if they kept us in church all the time we wouldn’t have time to sin. But instead, as Grady Nutt used to say, I learned to sin in church, . . . from experts. 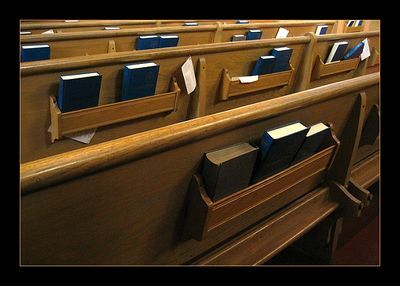 The teens in our church sat on the back two or three pews on the starboard side. The guys sat on the very back pew, and . . . well, to be honest it is a good thing that Homeland Security had not yet been established because we were terrorists (may God forgive me). There was a normal Sunday morning routine. The girls on the next to the back pew would inevitably dig out some gum or candy and share with the guys on the back pew. It was always the girls who brought it to share, but that was only right seeing as how they had purses to carry it in. On one occasion Craig Olds and I had been to Joplin the previous evening and while at the mall we had purchased some candy to share with our friends at church. However, our objective was not entirely altruistic. The candy that we purchased was a very special kind of candy. It came in a shiny golden wrapper. 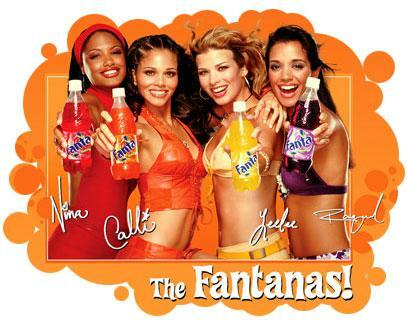 When it was opened it released a stimulating lemon aroma. Ahhh, very nice. Well, . . . maybe not so nice. For, you see, after having worked through the outer lemon shell one arrived at a pungent, sickening garlic center. We passed out the candy just prior to the invocation and sat back to await the results. To our surprise nothing happened for several minutes. That lemony outer shell was evidently quite savory. And then, … there was just the slightest waft of garlic in the air. Craig and I looked at each other and tried to keep from laughing (remember, he was the evil one, I was just under his influence). The smell continued to increase and people began to look around at each other with an uneasy questioning look. We were stunned when our victims began to hold their noses and blame each other for the indiscretion. No one seemed to realize that they themselves were at least partially the source for the foul odor! Eventually, everyone realized what had happened and there was a mass exodus as our victims sought relief. However, it is interesting that each and every one of our victims pointed an accusing finger at others before realizing that they were part of the problem. That seems to be the way it is with sin. It is so much easier to notice the speck in our brother’s eye. 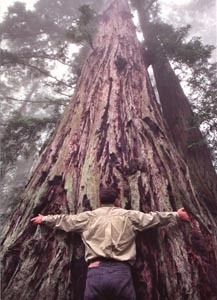 Now, if you will excuse me, I have a redwood forest in my eye with which I must deal. Ford Motor Company is preparing to spend $1.84 billion to develop a car that will get 70 miles per gallon. I should have talked to them before they made their investment plans, because I have a secret in which they might be interested. I once owned a car that I drove thousands of miles over the course of many months without ever having to put gas into it. It was kind of like the incident described in 1 Kings 17. During a time of drought and famine Elijah requested that a widow bring him a little something to eat and drink. What? Didn’t he know that she had next to nothing for her son and herself? In fact, they were down to their last handful of meal . . . once they had eaten that. . . well, she did not expect to survive. And Elijah said to her, “Fear not; go and do as you have said; but first make me a little cake of it and bring it to me, and afterward make for yourself and your son. And she went and did as Elijah said; and she, and he, and her household ate for many days. The jar of meal was not spent, neither did the cruse of oil fail, according to the word of the Lord which he spoke by Elijah. When I was in Iceland I bought an old Bonneville so I could get out and explore a bit. The Icelandics joked that it was the largest car in Iceland, but I know for a fact that both the U.S. and Russian embassies had larger cars. None of my friends who were stationed there owned their own vehicles. I figured that God owned the car so I devoted it to him by allowing any of my church friends to use it any time they desired. Every time that the needle on my gas gauge would fall beneath the half-empty mark, someone would borrow the car. A few hours later they would return it, and the gas tank would “miraculously” be full. Every single time. I do not exaggerate when I say that I drove it thousands of miles over the course of months without ever putting gas into it. The jar of meal was not spent, neither did the cruse of oil fail. Now, it may just be me, but I think that a car like that has a whole lot more value than the 70 mpg car that Ford is spending $1.84 billion to develop. For another example of God increasing loaves and fish, check out this article by Guy Muse. The M Blog: A modern-day “Five Loaves and Two Fishes” story–Teleamigo! 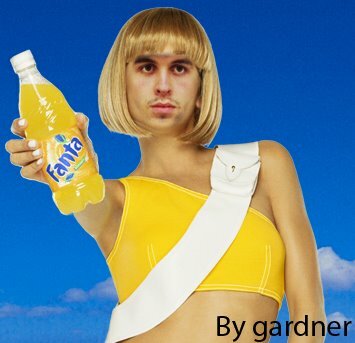 Wanta Fanta? 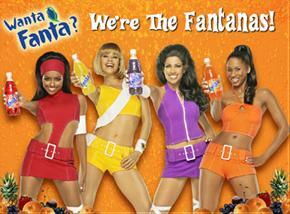 Don’t ya wanta? Some weeks ago on SBC Outpost Marty Duren asked his readers about their favorite regional soft drinks. 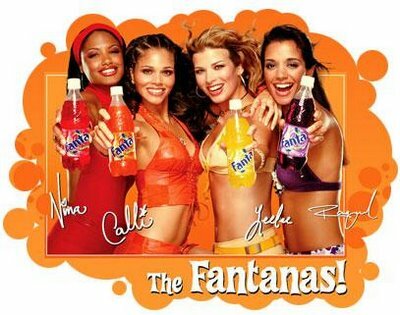 During that exchange I commented that it appeared to me that Fanta may have changed some of the Fantanas, that the girls somehow look different. Well, I have decided that I must have been wrong because the girls in the pictures below are all obviously the same people. Be Back Soon . . . I am going to be away from my blog for a few days while I prepare to close down my Ebay store. . . I should be back to blogging on Monday July 31. 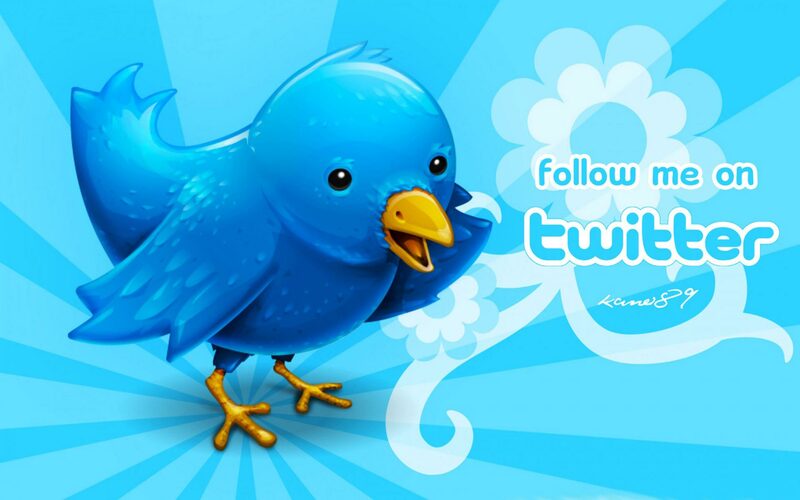 In the interim you might want to check out a few of these links.